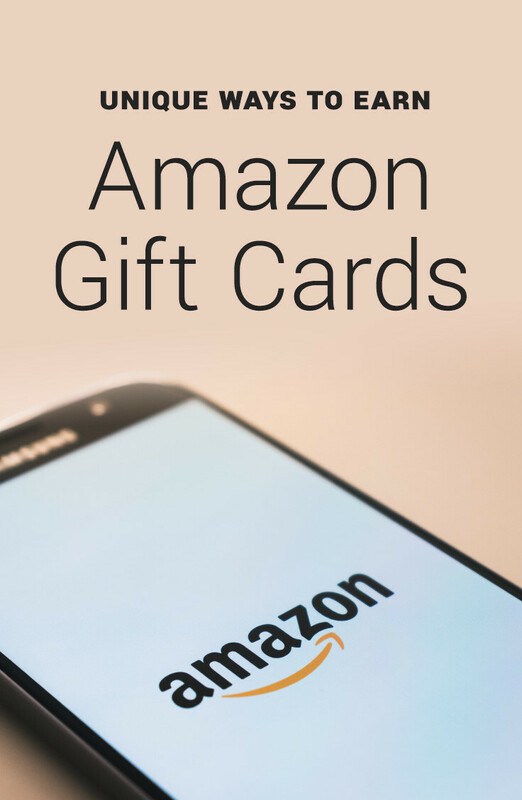 If you’re an avid shopper at Amazon (and it seems that a lot of folks are these days), there are now plenty of ways to earn gift cards from the online retailer. Some are as easy as making your regular / routine purchases! Let’s look at some of these ways. Would love to hear about any unique / unusual ways you are seeing of earning these too. Do you travel a lot? Rent cars here and there? Since I prefer driving vs flying, a lot of our trips are made using rental cars. I’m always looking to save on our rental as they can get a little expensive the longer you rent them out. Avis / Budget has teamed up with Amazon to offer customers 10-20% off your rental when you make a reservation through your Amazon account. When you use Alexa, you can maximize it at 20% off (otherwise it is only 10%). This “percentage off” is paid out in Amazon gift cards when your rental is complete. Just last month, I used Avis on a trip to Texas. With the rental being a bit over $400, I earned a $42 Amazon e-card. Not too shabby! Use their special offer page to score your gift card. I first heard about Arcadia through an email received from one of their representatives. They offer a way to augment your current energy needs with clean(er) energy sources. When you sign-up for their services (assuming you’re in a service area), you will receive a $20 Amazon gift card. Details (from The Penny Hoarder). I’ve often received offers of gift cards to take a test drive at a car dealership. Right now, folks can get a $50 reward card (your choice of Visa, Amazon or Target gift card) if you take a test drive of a Hyundai vehicle. Just fill out their interest form at their site to be eligible (you will be consenting to receive email / phone solicitation – most likely to set-up an appointment for your test drive, etc). I love it when you can get freebies just by doing what you regularly do. Mobil has an up-to $18 Amazon gift card promo when you get your oil changed using Mobil 1 oil at participating Mobil 1 Lube Express locations. Check their offer page for more details – but be aware this one only lasts til October 31, 2019. Our friend, Charlie, had a habit in college of giving blood whenever he needed some extra cash. I found it funny at the time – but he was also doing good at the same time. The American Red Cross has a $5 Amazon gift card offer when you donate blood between May 1-June 10, 2019. They’ll send out the gift card via email. While not a lot, visit their offer page to learn more and to schedule an appointment. While you are shopping at Amazon, a quick and simple way to earn an Amazon credit (not necessarily a gift card) for a digital download or Amazon Pantry is to choose the free, no-rush shipping option. This saves Amazon some coin and they reward your thoughtfulness as a Prime member by giving you a $5 Pantry credit or digital download credit. Offer varies. If you do a search for ways to obtain Amazon gift cards, one of the more popular ways bloggers / writers are touting is through cash-back reward programs like Swagbucks or Ebates. Shop through their website, and they earn commissions on your purchases. They essentially “pay you back” then for this through gift cards and other means. Another app you can use is Honey. They find coupons while you shop and help you apply them for you. You can also earn rewards like Amazon gift codes for your shopping. As you may have read, I’m not a fan of everything becoming software-as-service and everyone having to pay a monthly / yearly subscription to use the software (service). But, there are some you (seemingly) can’t live without. I use Office 365 at work and think it is a pretty good product. There is an offer now that I found at Cnet.com where you can purchase the 12-month program for $100 and then get a $50 Amazon gift code. Details. Need to get a phone or service? Choice Wireless is offering customers a rebate in the form of a Amazon gift card when a phone is purchased through their website. You can get up to a $50 gift card after purchase. More details on their offer. Can you share some of the ways you are seeing of getting free Amazon gift cards / codes?